Planning for a bathroom remodel, kitchen remodel, or a room addition for your home in Encino, California? Or do you need extra space for your growing business? Either way My Space Remodeling provides outstanding solutions with top-quality construction & design at competitive rates. We’re also known for our great work adding or replacing patio enclosures, patio covers, decks and gazebos, and outdoor kitchens. 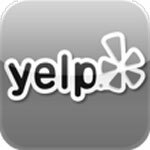 We’re a family owned and operated local business serving the Encino, California area. 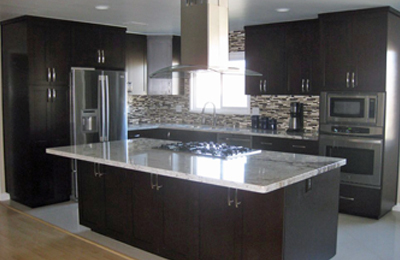 A fully licensed and insured general contractor we can take care of each and every task, start to finish. Let’s sit down together and work out some design concepts balancing your wish list and your budget. We’ll then provide a free estimate, and moving forward you’ll have our experienced project managers and crews for a project that smoothly comes to completion within budget and on schedule. We guarantee your satisfaction. Need space for a growing family or Encino business? A room addition can be a great investment, especially when compared to the hassles and expenses of moving. 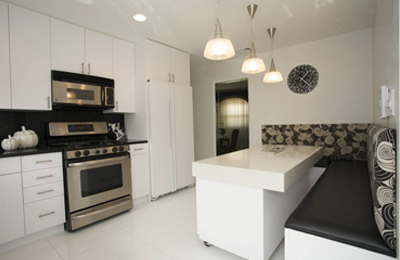 An additional bedroom and bath are common choices, and playrooms and home offices are also popular. Perhaps you would like to create a master suite with space for extras and a bath area with all the features you’ve been yearning for? Or perhaps an apartment for rental income or aging parents? Room additions is a great way to increase your home’s value. It is a great investment in today’s Encino’s increasing housing market. Contact us today to schedule a free in-home consultation. 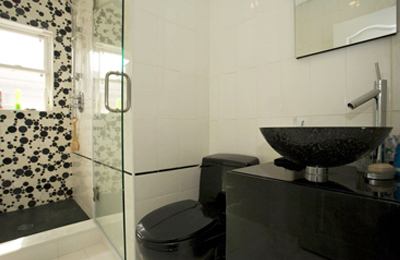 Do you not give your bathroom a second thought during your daily routine? It could be a highlight, inspiring the start of each day while also providing relaxing features such as a jacuzzi tub as a reward for the day. We’ll guide you through the huge number of styles, colors, and special features of today’s fixtures. 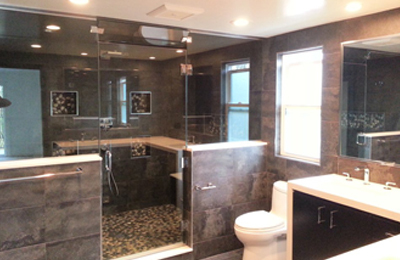 Our bathroom remodel experts can include walk-in showers, natural stone counter tops and floors, and decorative tile. Not to mention practicalities such as added storage and counter space. 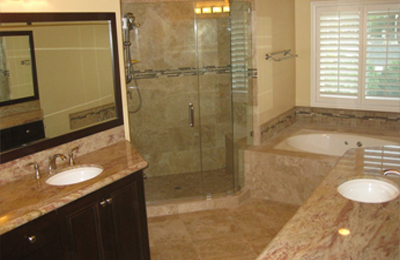 We provide affordable bathroom remodeling solutions for all Encino, California. Time for a kitchen remodel to update your home decor? Or to add features you’ve been longing for? Replacing kitchen cabinets are first on many people’s list, with glass doors one of today’s most popular styles. Replacing outdated surfaces with marble or granite counter tops are often a top priority in Encino. When updating major appliances consider built-ins like a double oven or gourmet stove top and hood. As part of your kitchen remodel, why not add an island or create a completely different layout for extra counter space and convenience? Our skilled crews are also experienced in making the most of your backyard living in Encino’s mild climate. Our regular services include fencing, roofing and gutters, painting and stucco, and block walls. But how about something special? Decks and gazebos provide special outdoor living spaces for entertaining or simply enjoying a sunset. How about a stunning patio cover and outdoor kitchen? A patio enclosure or sunroom is a great way to add living space very economically. My Space is ready to serve Encino’s 44,581 and 3,800 businesses (https://en.wikipedia.org/wiki/Encino,_Los_Angeles). Here are a few tips that should be helpful. If you’re thinking of selling, don’t base your decision on the prices you see in ads. As reported at http://www.realtor.com/local/Encino_CA, although the median asking price in 2015 was $1.3 million the median actually selling price was $798 thousand. That listing price works out to $470 per square foot. Remodeling costs are typically half that, or less. But keep in mind that varies widely based on the size of the project, the number and type of fixtures, design features, and materials selected. 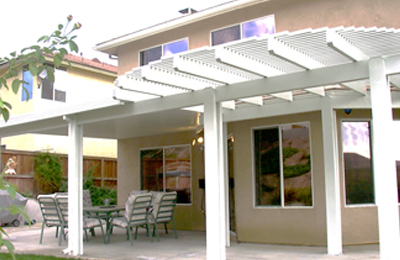 Just about any home improvement project in Encino requires a permit from the Los Angeles Department of Building and Safety (http://www.ladbs.org/). They will review plans, issue a construction permit, and inspect the work. Contractors such as My Space will take care of that for you. Experts (http://www.consumerreports.org/cro/home-garden/resource-center/choosing-a-contractor/overview/index.htm) recommend getting 3 written bids. But don’t just go for the lowest price. Compare them carefully, and ask yourself questions such as the following. Do licensing, insurance, and references check out? Are all materials and fixtures up to quality specifications? Are they the brand names you requested? Does each estimate include all of your must-haves? Is everything (including bringing the rest of the building up to current code requirements, permits and fees, haul away and disposal) included in the price? HGTV presents some great guidelines and tips on their website at http://www.hgtv.com/design/decorating/clean-and-organize/how-to-choose-a-remodeling-contractor. Here are just a few highlights for choosing a company. Make sure that anyone you’re considering is indeed licensed and insured by verifying their licensing numbers and insurance certificates. They should also have a permanent address — you don’t want someone with a cell phone and post office box! Their plumbers and electricians should be certified and experienced. Don’t stop at looking at photos of their prior projects. Ask for referrals and then speak with them to see how those projects went –as HGTV reminds us, you’re buying services not just a finished product.